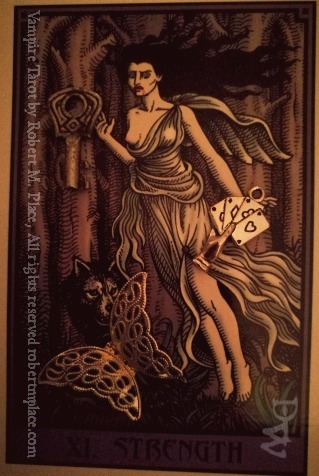 Some of you may be aware of my obsession work with the Vampire Tarot by Robert M. Place. 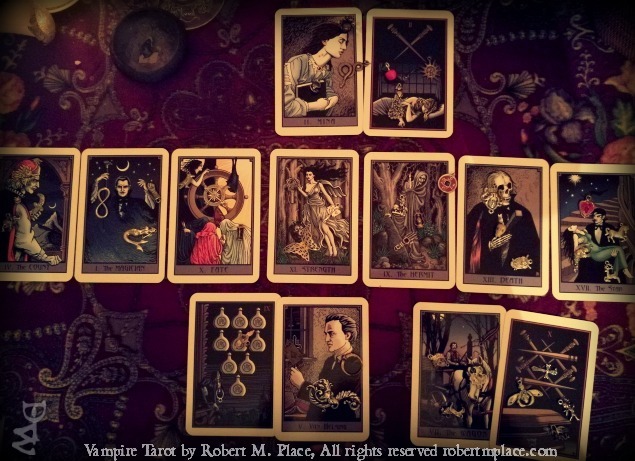 I have blogged here , here & here about my work with this deck. A few weeks ago, when I was preparing to start a Vampire Reading for a client, it was clear the Vampyrs wanted to sing to me first. So I laid out that spread & I promised I’d write the poem too. I dreaded it & so I put it off, but a promise is a promise. Here it is. Warning: it is LENGTHY & also personal, with possible triggers for (sexual) abuse. Want the Immortals to sing to you too? You can find Them here & here.